The Clausius inequality (CI) is one of the most versatile forms of the second law. Although it was originally conceived for macroscopic steam engines, it is also applicable to quantum single particle machines. 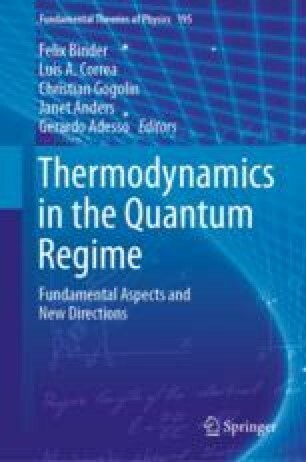 Moreover, the CI is the main connecting thread between classical microscopic thermodynamics and nanoscopic quantum thermodynamics. In this chapter, we study three different approaches for obtaining the CI. Each approach shows different aspects of the CI. The goals of this chapter are: (i) To show the exact assumptions made in various derivations of the CI. (ii) To elucidate the structure of the second law and its origin. (iii) To discuss the possibilities each approach offers for finding additional second-law like inequalities. (iv) To pose challenges related to the second law in nanoscopic setups. In particular, we introduce and briefly discuss the notions of exotic heat machines (X machines), and “lazy demons”.